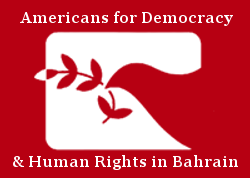 2 September 2015 – Americans for Democracy & Human Rights in Bahrain (ADHRB) and the Bahrain Institute for Rights and Democracy (BIRD) today published a report on the Prisoners and Detainees Rights Commission (PDRC) in Bahrain. The PDRC is a UK trained body as part of the UK Foreign & Commonwealth Office’s (FCO) assistance programme to Bahrain. The report, entitled Fundamentally Flawed: A Review of Bahrain’s Prisoners and Detainees Rights Commission, examines the PDRC’s establishment, membership, and activities in order to determine whether the body is effectively accomplishing its objective. The report finds that the PDRC fails to meet the guidelines for a National Preventative Mechanism as established by the Optional Protocol for the Convention against Torture (OP-CAT). The FCO raised its spending budget on its assistance programme to Bahrain from £1.5 million in 2014 to £2.1 million in 2015, with no plans for an independent assessment into the spending. Bahrain established the PDRC in September 2013, as part of a series of reforms ostensibly designed to counteract the human rights violations that have characterized Bahrain’s political situation since 2011. While Bahrain has not ratified the OP-CAT, it established the PDRC to be a National Preventive Mechanism in line with the Protocol’s vision. However, as detailed in the report, the PDRC fails to meet several key standards outlined by the OP-CAT. Most notably, the PDRC’s institutional framework prevents independence; several of the PDRC’s members are from the same judicial and public prosecution office responsible for the sentencing of prisoners of conscience. Further, PDRC inspections have failed to examine substantial and credible allegations of torture emerging from Bahrain’s prison system. In the report, ADHRB and BIRD conclude that the PDRC has not adequately challenged torture and ill-treatment in Bahrain or implemented the methodologies outlined by the UN, and recommend that the commission considerably improve its inspection and reporting standards as it approaches its first inspection of Jau Prison. In May 2015, ADHRB and BIRD documented systematic torture and collective punishment in our joint-report, Inside Jau: Government Brutality in Bahrain’s Central Prison. Inspect with all due diligence for any signs of torture and ill-treatment, and to report fully its findings. Sign the Optional Protocol to the Convention against Torture and Other Cruel, Inhuman or Degrading Treatment or Punishment. Reconsider its working relationship with the Government of Bahrain and the PDRC, in light of its non-transparency, non-independency and partiality to the Government of Bahrain.